The second most populated city in Italy after Rome, and host city to international mega events such as the World Expo, Salone de Mobile and Milan Fashion Week, Milan drew close to 48.6 million tourist in 2014, so be warned that it can get pretty congested at times here. The best way to see the city is to buy an all-day metro card. 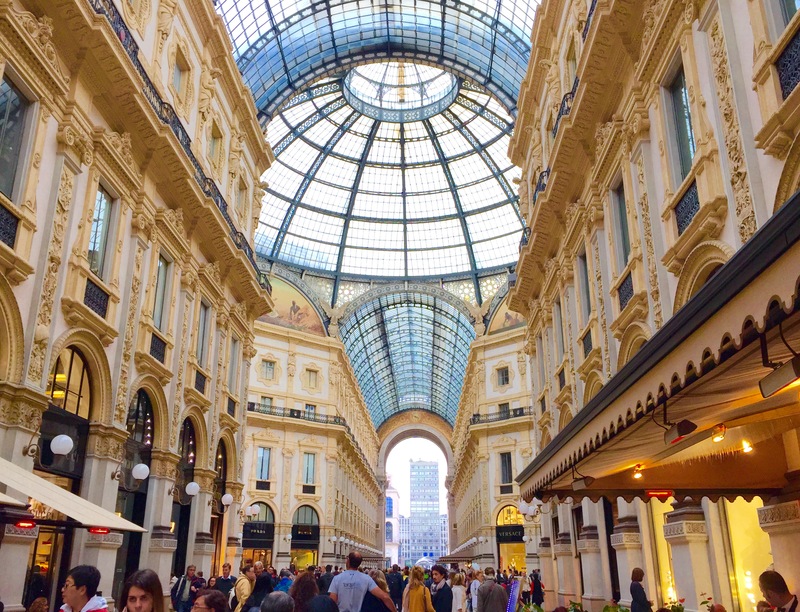 Visit the Duomo di Milan, one of the most gorgeous Gothic cathedrals in Europe, Galleria Vittorio Emmanuel, one of the oldest malls in the world, and the pretty Brera district nearby where you’ll find the Pinacoteca Brera, one of the city’s most impressive museums. Then head to Navigli where you can enjoy an aperitif at Mercato Metropolitano then head for dinner and late night cocktails at one of the bars along the river. Cuisine: Must try dishes are osso bucco, risotto alla Milanese and coltoletta – veal on a bone, breaded and fried. To sample local and regional produce, visit Eataly, a four storey mega food department store with produce focused (e.g: bakery, seafood, meat etc.) restaurants or cafes on each level. This entry was posted in Europe, Go, Italy, Milan. Bookmark the permalink.